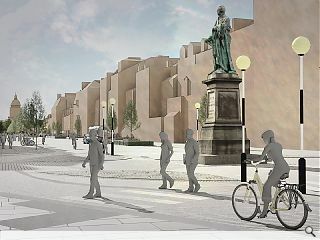 LDA Design working in partnership with The City of Edinburgh Council, WYG and Sustrans have detailed their vision to improve the ‘civic grandeur’ of Edinburgh’s George Street by enhancing accessibility and active travel while fostering a stronger sense of place. 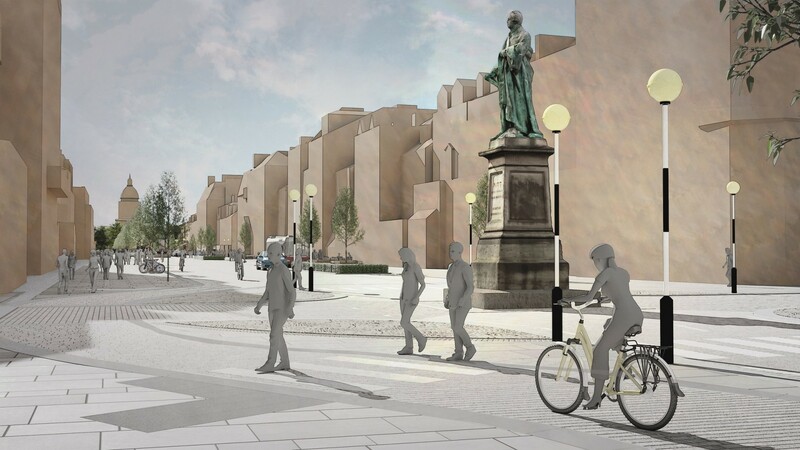 Proposals include prioritising pedestrians over vehicles by introducing wider decluttered pavements and introducing a dedicated twin-direction cycleway linking a series of new squares and seating in an approach which has been likened to a ‘Las Ramblas of the north’. 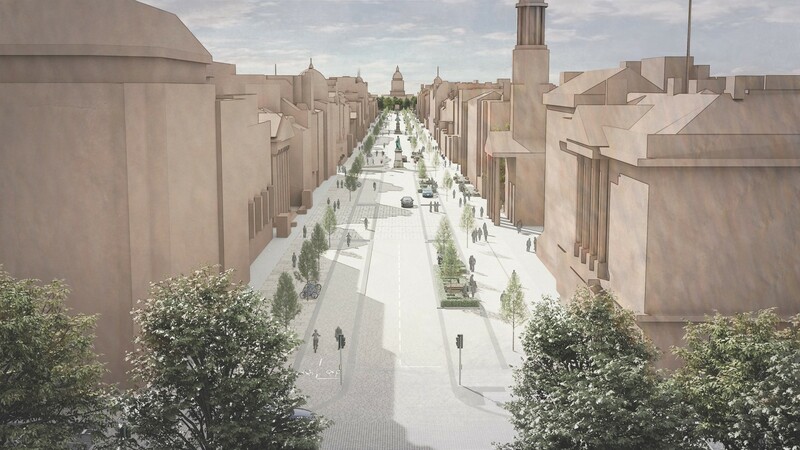 LDA Design director and project lead, Kirstin Taylor, remarked: “As a ‘Capital Street for a Capital City’, George Street is a significant part of Edinburgh’s history – it is vital that it continues to be at the heart of the city’s growth. To help gather public feedback an online survey has been created to gauge reaction to the initial plans. 'Las Ramblas of the north'-FFS. Why the need for dumbed down branding is completely beyond me. 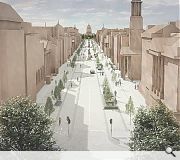 'A Capital Street for a Capital City' (no need for capitals incidentally)....anymore crass jargon to add to this LDA? Tesco car park trees have to go....and have nothing to do with celebrating Georgian architecture. LDA clearly have no appreciation of George St’s setting. Trees aside, (though they're not that bad). The general principles of reducing traffic, increasing cycleways and pedestrian areas with shared surfaces and ditching on-street parking are all very welcome moves. Have already commented on this naff proposal. No trees in George Street. Need severe contrast between built form and formal greenspace. Have these designers read Youngson? The Ramblas of the North is an absolute belter to be fair. You wouldn't think they were talking about one of the finest streets in Europe. Its fitting though, because Las Ramblas has become a soulless tourist trap. There's barely a Spaniard to be seen in its vicinity these days, nevermind a Catalan. 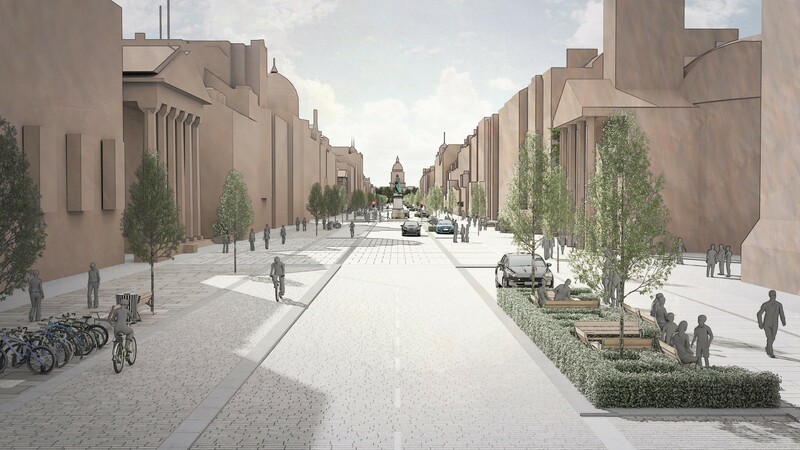 And I suspect that's the vision for George Street too. Mind you, I always preferred the Old Town anyway. I'm wondering how you get your bike to George Street in the first place? Edinburgh must be one of the least bike friendly cities in the UK. great stuff, always wondered where the best place to be pick-pocketed was in Edinburgh! Looks more like the anaemic Buchanan Street of the east. Hear hear. This is so plainly obvious that I am aghast that these moronic proposals have progressed so far. And La Ramblas is a rubbish thoroughfare with relatively uninteresting architecture and tat. This is what happens when pinkos try and intervene in the timeless brilliance of New Town streetscapes. Putting some trees and Sheffield stands everywhere doesn't make good city. Nice to see the word 'pinkos' still kicking a baw. Looking forward to 'long-haired popstars' making a comeback soon. Perhaps the repaving should be preceded by an advertising campaign to persuade the Scottish people to dispose of their chewing-gum in bins, and not onto the street surface. Otherwise George Street will end up like other, expensive revamps elsewhere - an unsightly, gum-spattered mess. What I don’t about comparing George Street to the Ramblas is what I am sure is a scottish nationalist stealth agenda of linking Scotland to the independence seeking Catalonia. There is no similarity whatsoever between the two streets, so why has it been made? And whilst on...the tram should have gone down George Street rather than blight Princes Street and the wholesale ruination of the vista and castle views. George Street will be the main high end retail Street in 5 years time. 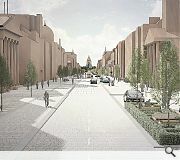 Princes Street will be resi and hotels. My tin foil lined curtains are remaining firmly closed. How did you know about my foil lined hat???? Err surely given princes street is like a elongated bus terminus does a few sleek single decker trams make any material difference whatsover?